To claim this profile, please confirm you are Sebastian Davis. To follow this profile, please let us know your relationship to Sebastian Davis. Varsity baseball vs. Wylie Prep Academy. Sebastian's baseball stats have been updated for the loss vs. UME Preparatory Academy. The Dallas Academy varsity baseball team lost Tuesday's home conference game against UME Preparatory Academy (Dallas, TX) by a score of 16-0. RESULTLoss Varsity baseball @ Wylie Prep Academy. The Dallas Academy varsity baseball team lost Friday's away conference game against Wylie Prep Academy (Wylie, TX) by a score of 19-4. The Dallas Academy varsity baseball team lost Tuesday's home conference game against Newman International Academy (Cedar Hill, TX) by a score of 25-0. The Dallas Academy varsity baseball team lost Friday's away conference game against Newman International Academy (Cedar Hill, TX) by a score of 15-0. Sebastian's baseball stats have been updated for the loss @ UME Preparatory Academy. The Dallas Academy varsity baseball team lost Friday's away conference game against UME Preparatory Academy (Dallas, TX) by a score of 22-2. Sebastian has been added to the Dallas Academy baseball roster. Sebastian's basketball stats have been updated for the loss @ St. Paul's Prep. RESULTLoss Boys varsity basketball @ St. Paul's Prep. The Dallas Academy varsity basketball team lost Thursday's away conference game against St. Paul's Prep (Arlington, TX) by a score of 75-37. 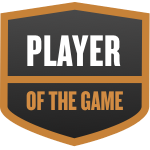 Sebastian was selected the Player of the Game in the basketball game against Temple Christian on Tue, Jan 29 2019. Congratulations to #22 Sebastian Davis for being selected the Dallas Academy Basketball Player of the Game. Sebastian's basketball stats have been updated for the loss vs. Hill. RESULTLoss Boys varsity basketball vs. Hill. The Dallas Academy varsity basketball team lost Friday's home non-conference game against Hill (Fort Worth, TX) by a score of 59-53. Sebastian's basketball stats have been updated for the win @ Temple Christian. RESULTWin Boys varsity basketball @ Temple Christian. The Dallas Academy varsity basketball team won Tuesday's away conference game against Temple Christian (Flower Mound, TX) by a score of 71-53. Sebastian's basketball stats have been updated for the loss vs. Nazarene Christian Academy. RESULTLoss Boys varsity basketball vs. NCA. The Dallas Academy varsity basketball team lost Friday's home non-conference game against Nazarene Christian Academy (Crowley, TX) by a score of 79-33. Sebastian's basketball stats have been updated for the loss @ Covenant Classical.